I recently received an intriguing package from Golden Tips tea, straight from India. Inside was a myriad of tea samples. It felt like my birthday! Golden Tips has been selling teas since 1933 and offer over 150 types of pure teas from India. I couldn't decide on what tea to try first, and then the Thurbo Moonlight Darjeeling called out to me. I was intrigued by the 'moonlight' in the title. Is this tea picked at night? Do the tea plants flower at night? Mysterious. I was curious about the origin of the name, and online searches didn't turn anything up. So naturally I took to twitter. I asked Niraj of Happy Earth Tea what he thought of the name, since he is an expert on all things Darjeeling. According to Niraj, the Castleton estate started calling their white tea 'moonlight' due to the light color of the leaves. Niraj also mentioned that lately tippy black teas are also given the name 'moonlight'. It turns out the Thurbo and Castleton estates are owned by the same company so it makes sense that they used the name for the tea. It still sounds mystical to me. I like it that way. There certainly are golden tippy leaves in this tea. The dry leaves have a lovely floral, sweet, muscatel aroma with an undertone of dried grass. Smells like a Darjeeling black tea! The brew is super muscatel grape-like, along with the flavors of golden raisin, and sweet honey with a slight floral note. It's light and juicy, smooth without astringency. The flavor actually reminds me of a Japanese 'muscat gummy' candy I've eaten in the past. 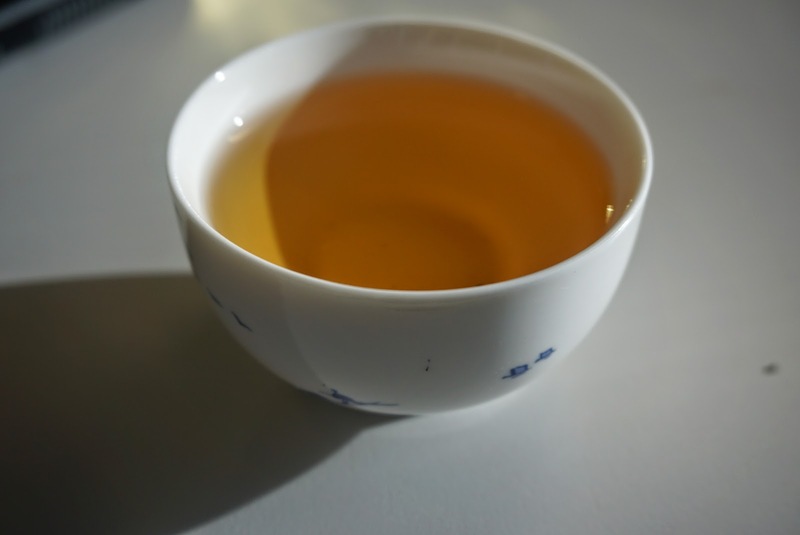 This is a light and refreshing Darjeeling perfect for drinking any time of the day. I have many more teas from Golden Tips to review, and stay tuned for an interview with the Director of the company. It's coming soon. For more on this tea, visit the Golden Tips website.